The caterpillar lives in grass blades. 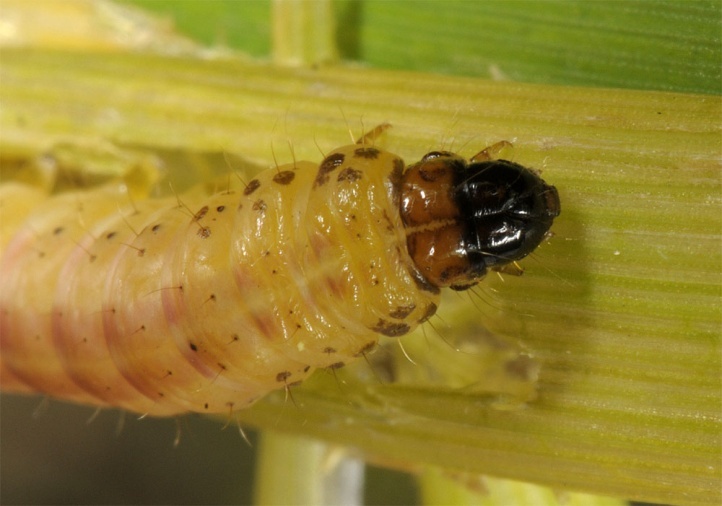 In the central Vinschgau (Venosta), I found a caterpillar in a rather atypical standing Dactylis glomerata at a trailside in a bright forest-steppe grasslands complex in May 2011. Mesoligia literosa inhabits dry slopes, steppe-like grasslands and locally also coastal dunes and similar places. The caterpillar overwinters and is usually grown in May. 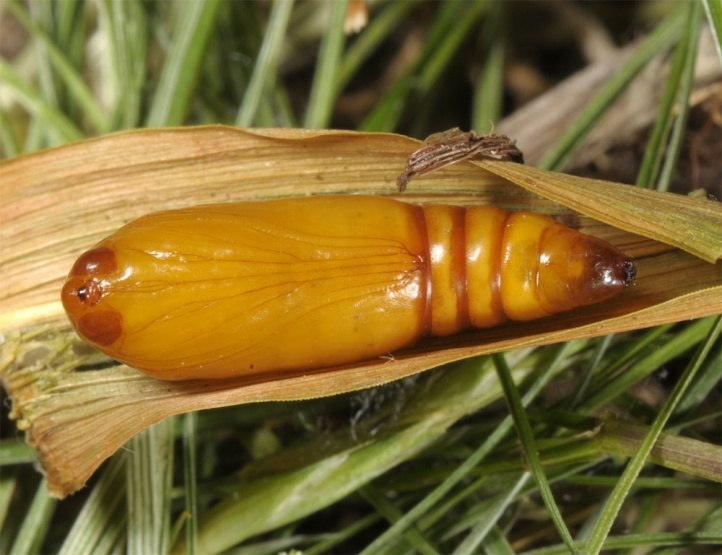 The caterpillars live similar to the related species in the grass blades respectively between the sheet approaches/sheaths and gnaw through the stalks. 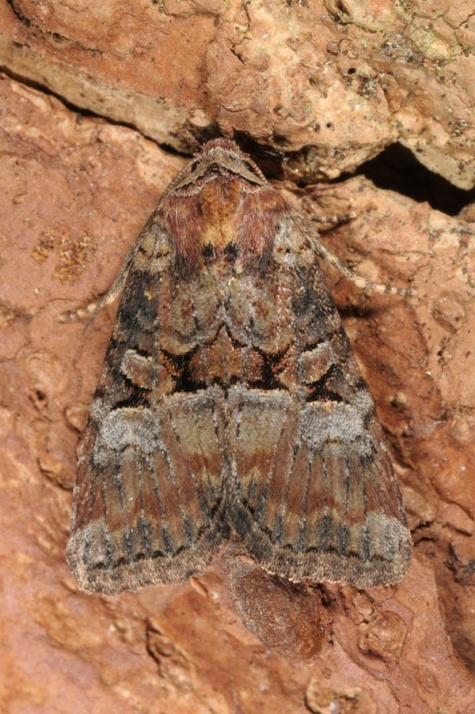 The moths fly from July to late August/early September. Mesoligia literosa is severely threatened by habitat loss in many regions. 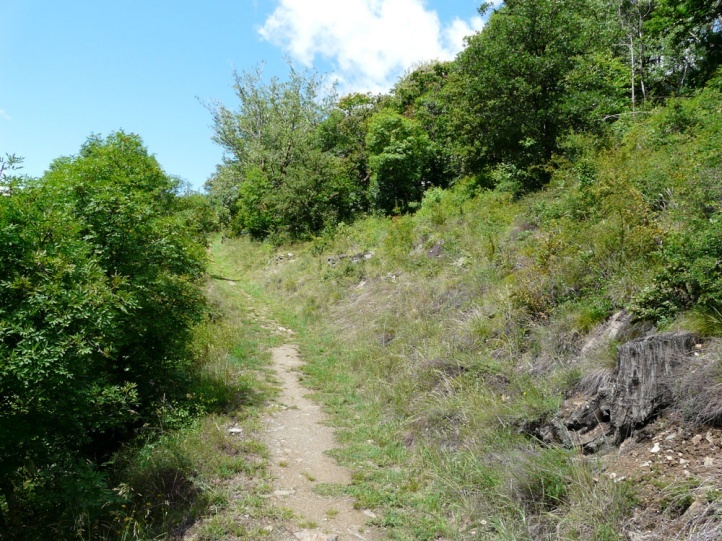 On the coasts, it suffers mainly from tourist activities (beaches, overbuilding) , on dry slopes more from agricultural and forestry activities (viticulture and afforestations) and succession. Mesoligia literosa occurs very locally from Northwest Africa across Europe (missing here in many areas completely) to Central Asia. 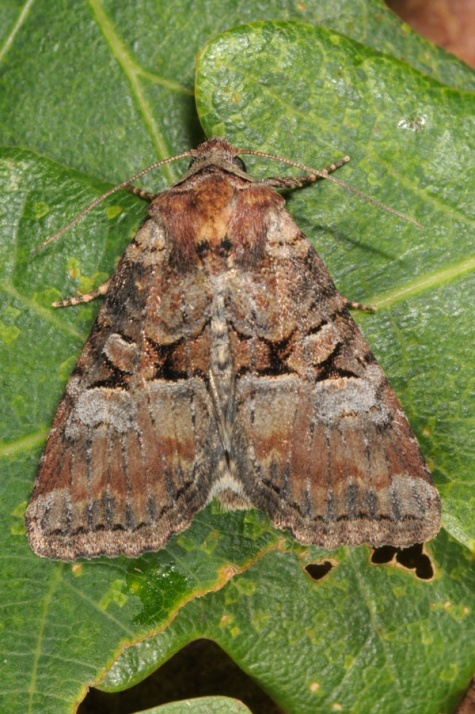 Mesoligia literosa can be recognized by the black bar in the collar, which separates a cranial more gray from a caudal mor reddish brown field.